For too long, the New York Police Department has secretly deployed cutting-edge spy tech, without notice to the public. Many of these snooping devices invade our privacy, deter our free speech, and disparately burden minority and immigrant communities. Fortunately, a proposed ordinance (“the POST Act”) would lift the cloak of secrecy, and help the people of New York City better control police surveillance technology. For decades the NYPD has committed to righting a legacy of unwarranted surveillance. Yet court proceedings continue to find the Department’s surveillance practices in violation of political, religious, and other fundamental freedoms. Against this troubling historical backdrop, images from more than eight thousand public and privately owned surveillance cameras feed into the Department’s Lower Manhattan Security Coordination Center (LMSCC) each day. In the words of Police Commissioner James O’Neill, “that’s the world we’re living in now. Any street, any incident in New York City, you get to—most of the time—that gets captured on video surveillance”. In addition to these panopticon-levels of video footage, NYPD watch officers and analysts—working alongside “Stakeholder” representatives including Goldman Sachs, JP Morgan Chase, and the Federal Reserve—monitor a treasure trove of data collected and analyzed through ShotSpotter microphones, face recognition technology, license plate readers, and more. How the NYPD disseminates the information collected by this surveillance technology—as well as spy tech used by detectives and officers throughout the city—is largely a mystery to New York residents and lawmakers. Lawmakers must assure that the NYPD delivers public safety without violating New Yorkers’ rights to privacy and association. However, decades of federal grants from the U.S. Department of Homeland Security—which oversees the principal agencies involved with immigration enforcement—have resulted in the NYPD’s development of an arsenal of surveillance technology with far too little oversight from elected officials and their constituents. NYPD surveillance technologies expose how New Yorkers live their daily lives, including visiting health care providers, debt counselors, support groups, lovers, or potential employers. All of this sensitive personal information might be shared, stolen, or misused. Still more questions are raised by the NYPD’s x-ray vans and Cell Site Simulators—devices designed for military use against enemy combatants and brought home for municipal policing. The Department now deploys these technologies and more in relative secrecy. EFF has long raised these concerns, along with New York-based civil society organizations including NYCLU, CAIR-NY, and the Brennen Center for Justice. Our concerns were affirmed, for example, when it was revealed that the NYPD had used Cell Site Simulators more than one thousand times between 2008 and 2015 without a written policy, and without obtaining judicial warrants. One lawmaker who knows this reality well is City Council member Vanessa Gibson. From 2014 through 2017, Gibson chaired the Council’s Public Safety Committee. As Chair, Gibson was responsible for oversight of the operations and budget for multiple departments responsible for residents’ safety, including the NYPD, the Civilian Complaint Review Board, and the district attorney's office. Joined by several of her colleagues, Council Member Gibson has introduced legislation aimed to assure that lawmakers and the public are informed about NYPD acquisition and use of technology with the potential to threaten both privacy and security. Commonly referred to as the Police Oversight and Surveillance Transparency (POST) Act, the proposed legislation would require NYPD to report and evaluate all surveillance technologies they intend to acquire or use. The report and associated use policy would include a description of the equipment, its capabilities, guidelines for use, and security measures designed to protect any data it collects. 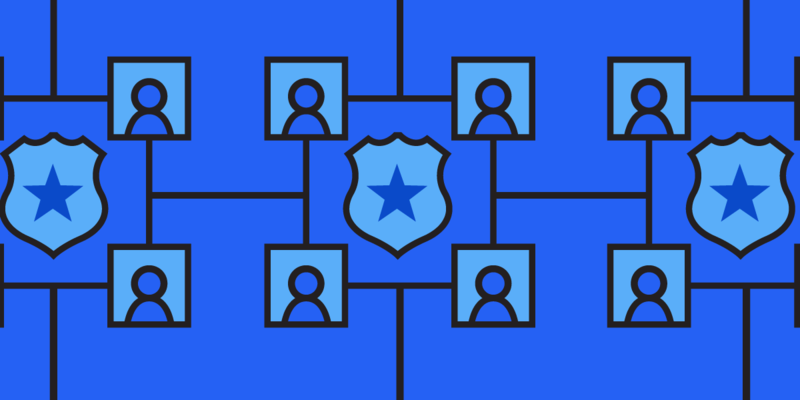 In 2015, the President's Task Force on 21st Century Policing concluded: “Law enforcement agencies should establish a culture of transparency and accountability in order to build public trust and legitimacy. This will help ensure decision making is understood and in accord with stated policy.” In keeping with the task force’s recommendation, the POST Act would require the NYPD to publish each policy for a new surveillance technology for a 45-day public comment period. Only after this notice and comment period could the NYPD Commissioner—having taken the comments into account—provide a final version of the surveillance impact and use policy to the City Council, the mayor, and the public. Berkeley, Nashville, Oakland, and Seattle are among a growing roster of cities across the United States that have already enacted similar ordinances. However, unlike the legislation these cities have adopted, the POST Act stops short of empowering City Council members to decide whether to approve or deny spy tech acquisition. Nor does the POST Act provide the New York City Council with any power to order the NYPD to cease use of equipment that it used in violation of the published policy. Instead, the Inspector General for the NYPD would be responsible for auditing the surveillance impact and use policy to ensure compliance. With an annual budget of over $5 Billion, and more personnel than half of the world’s militaries, the NYPD has a duty to protect the people of New York City. That role as guardian is one of great responsibility, requiring the trust and cooperation of the public they are sworn to serve. The POST Act—following in the steps of successful measures across the nation—is a common-sense step, promising transparency and opening the door to accountability. If you live in New York, please urge your City Council member to support this important local legislation. Electronic Frontier Alliance members across the US are working to enact similar legislation within their communities. To find an EFA-allied group in your area, please visit eff.org/efa-allies.